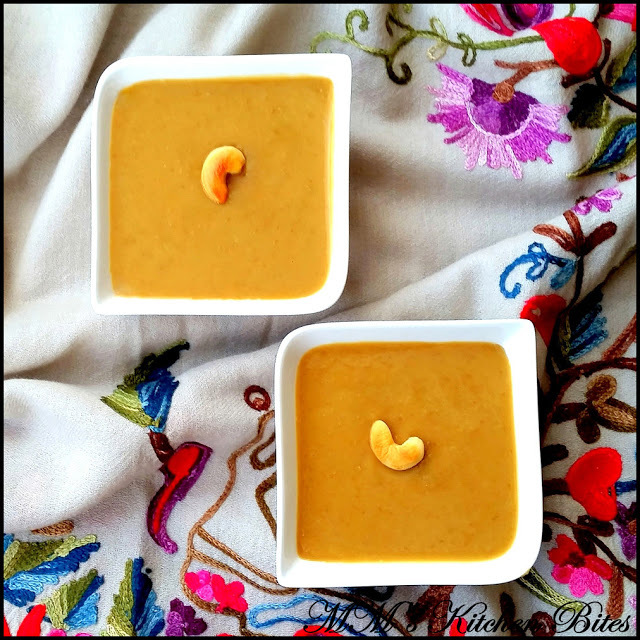 Home Coconut Milk Parrippu Payasam (Mung dal pudding cooked with Jaggery and Coconut milk)…celebrating Onam!! Parrippu Payasam (Mung dal pudding cooked with Jaggery and Coconut milk)…past week my Facebook feed was flooded with Onam Sadya spread and I could not help but make something as well to celebrate this harvest festival from the state of Kerala…and don’t wait till Onam to make this!! Heat a large non stick heavy bottom skillet on medium low heat. 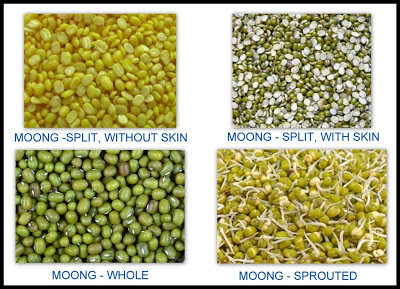 Dry roast the dal in a pan over medium heat, stirring continuously till it changes colour to golden to medium of the brown – some of the mung will be darker than the others and that is ok as long as they don’t burn!! The roasted dal will smell nutty. Don’t try and multitask while roasting the dal…it can go from that perfect golden to burnt in the blink of an eye. 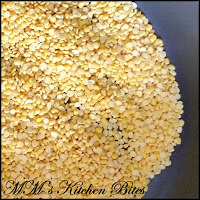 Switch off the heat and spread the dal out on a plate or a bowl. Let it cool down and then wash the dal till water runs clear. Drain the water completely. 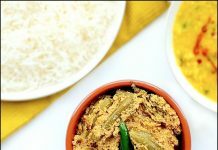 Use fresh water for cooking and cook the dal with 1 ½ cups of water in a pressure cooker for 2-3 whistles till it turns mushy and can easily be mashed into a paste. Add ½ cup of hot water to the shaved jaggery. 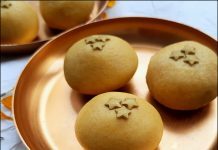 Stir well till the jaggery melts completely. Strain using a muslin cloth or a super fine mesh strainer to remove any impurities. Keep aside. Prepare both kinds of coconut milk. In the thin coconut milk add the cardamom powder, dry ginger powder, cumin powder and salt. Heat a tsp of oil in a skillet and fry the coconut slivers, cashews and raisins to a nice golden brown. Remove with a slotted spoon and keep aside. Add the strained jaggery water and the remaining 1 tsp ghee to the dal paste, whisk well and cook on low medium heat till it starts to simmer and thickens up. Add the thin coconut milk, whisk well and let it cook further for another 15-20 minutes stirring continuously, till the mix thickens up again and reduces/evaporates by about a half. Add the thick coconut milk, whisk well and cook it till the mix comes to a simmer again. Serve hot, warm or chilled garnished with the fried cashews, coconut slivers and raisins fried earlier. Do remember that the payasam will thicken up more and go slightly darker as it cools. Traditionally coconut milk extracted from fresh coconut is added in two to three stages. 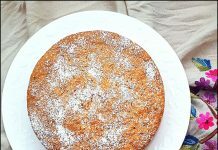 But with the arrival of instant constant powder, the chances of coconut milk splitting while cooking is next to nil, it reduces the effort and time considerably without comprising too much on the taste. Thin milk to cook and thick added at last stage to ensure the sweetness and flavor is retained in the pudding. Needless to say using If using canned coconut milk: Shake the can well. Mix equal quantity of water with canned coconut milk for thin and use as is for thick coconut milk. Typically dal to jaggery ratio is 1:2 (by volume). But I have made this payasam thrice now and ½ cup: ¾ cup works well for us for the jaggery I have. 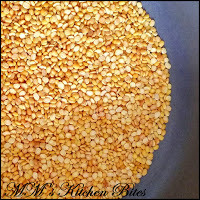 To cook the dal – if using pressure cooker, 1: 3 ratio of dal to water; if using an open pan, 1:5 ratio. Previous articlePosto diye Palong Shaak Bhaja (Stir Fried Spinach with White Poppy seeds)…green,green, gone!! Next articleThengai Sadam (Toasted Coconut rice)…home alone! !